This Monday, non-profit group Animals Asia saved five moon bears that had been captive for more than two decades on a farm in Vietnam. The animals were held for 21 years, receiving regular bile extractions until their rescue from the southern town of My Tho, according to the group. The NGO transported the “freedom five” 1,050 miles by truck over the course of the week to Vietnam’s Tam Dao National Park. They were eagerly awaited at the Vietnam Bear Rescue Centre, an expansive and lush sanctuary dedicated to the animals’ conservation since 2006. The #FiveAlive bears have been given names for the very first time in their lives. LeBON, Kim, Mai, Star and Mekong were treated for injuries such as abdominal penetrations as well as dental decay from malnutrition and biting the cages in attempts to free themselves. The moon bear, also referred to as the Asiatic Black Bear, as well as sun bears and brown bears are often captured by bile farms who sell the compounds in the practice of traditional medicine. The bears are listed as vulnerable in the IUCN Red List and endangered by the CITES list. The global nonprofit Animals Asia was founded by Jill Robinson MBE and is celebrating its 20 year anniversary this month. Since then, Robinson, a medical veterinarian who is recognized as the world’s leading authority on the cruel bear bile industry, has been devoted to ending the longstanding eastern tradition of bile farming. 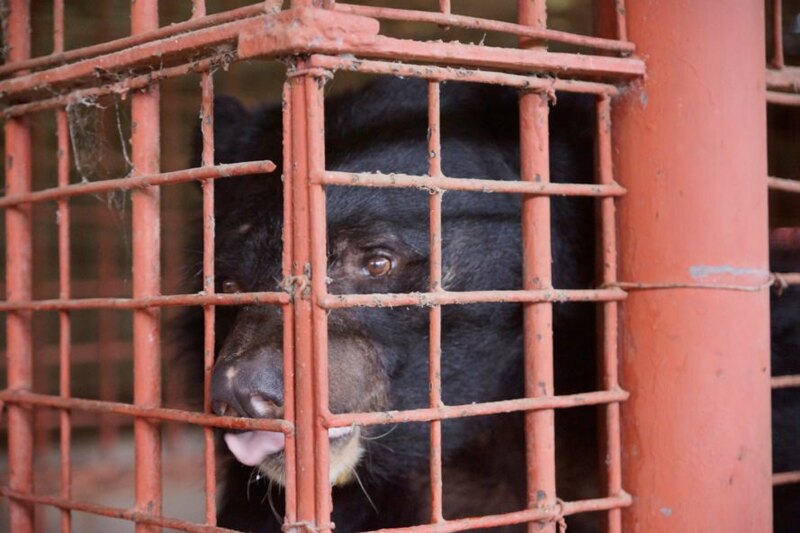 The Vietnamese government has been compliant with the NGO’s efforts, even signing a groundbreaking memorandum in 2017 agreeing to the removal and relocation of approximately 800 bears from bile farms to sanctuaries such as the Vietnam Bear Rescue Centre. Social media support of the #FiveAlive mission has been pouring in with growing encouragement to donate to the bears’ care for the remainder of their — now free — lives. 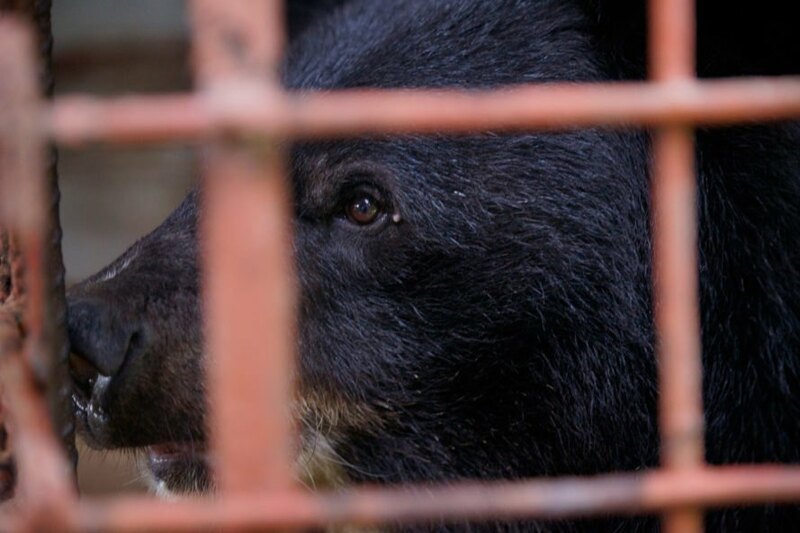 This Monday, non-profit group Animals Asia saved five moon bears that had been captive for more than two decades on a farm in Vietnam. The animals were held for 21 years, receiving regular bile extractions until their rescue from the southern town of My Tho, according to the group. The NGO transported the "freedom five" 1,050 miles by truck over the course of the week to Vietnam's Tam Dao National Park. They were eagerly awaited at the Vietnam Bear Rescue Centre, an expansive and lush sanctuary dedicated to the animals' conservation since 2006.